I say: Like an ry4 made from a heavier dark tobacco, plenty of caramel and ginger notes with a serious throat hit. I say: a good breakfast vape… if a little sweet. Similar to Mutan from the Ministry of Vap line. They say: Red fruits with anis, eucalyptus and raisins. I say: The best of the bunch, a good smooth crème de menthe with a hint of tea in the background, the cactus is there as well but I cannot taste the coconut. I expected more from a collaboration between Kenzo Takada and Liquideo. All 6mg/ml eliquids (50VG/50PG) vaped in a magma at 1.3ohms on a cana firing at 20 watts. Ministry of Vap – Liquideo. They say: Lemons, Strawberries and Violets. I say: The flavour straddles a tightrope between all three, although the strawberry leads slightly followed closely by the lemon with the violet coming to the fore towards the end only to finish on the exhale with a grassy aftertaste. A most curious mix. They say: Peaches, Vanilla custard and Coconuts. I say: Peaches are meant to be sweet and… tangy or maybe the coconut is just a little too overpowering? I liked it… but loving it, another matter entirely. I say: Raisins on the inhale followed by Mango all wrapped up in a marshmallow duvet. Another very unusual vape. They say: Fruit, freshness and boom? I say: Nope… the menthol/koolada muddles up any discernable fruit flavour and the boom should be boomier. They say: Tartine (sourdough), butter and strawberry jam. I say: Lovely melange of the above with no one note standing proud. Perfect for hot summer afternoon vaping, air conditioning for your palate. I say: Unlike the Albus this does not work for me, the cream and the cucumber combine to make something akin to a mild wheatgrass shot. A bit of a hit and miss affair here, sadly only a few flavours in this line faithfully reflect the quality and imagination that I normally associate with Liquideo. All 0mg/ml juices (40VG/60PG) vaped in a 1.6 ohm japanese cotton wicked magma firing on a coolfire4 between 20 to 26 watts. They say: Blackberry, Blackcurrant and cream. 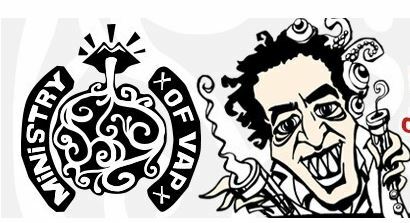 I say: An interesting attempt to provide an e liquid, with what are commonly regarded by vapers and DIY enthusiasts as… difficult flavours. Personally and again it’s a minor quibble, I would have preferred a slightly tarter juice with a little less sugar. They say: Raisin, Anise, red fruits with both Menthol and Eucalyptus. I say: It tastes like fillet of bubblegum, not the hard sugary outside. Specifically those little white (golf) balls that were sold loose by sweetshops. Balanced flavours mean that none of the Menthol, Eucalyptus or Anise notes overpower the fruit. This one grows on you. They say: Beignet, orange and coffee. I say: Breakfast juice, with an orange marmalade inhale followed by a lovely light coffee and sweet choux pastry background on the exhale. I loved it and you will too. They say: Coffee with Chocolate. I say: Meh…caccino rather than Mochaccino, neither the coffee nor the chocolate are quite strong enough. They say: All the citrus none of the pips. I say: Great citrus cocktail with plenty of pith. As good if not better than Drops orange experience. Not for those of you with plastic or polycarbonate tanks. All 5mg/ml juices (60VG/40PG) enjoyed in a 1.6 ohm japanese cotton wicked magma firing on a cana between 20 to 26 watts. Once again my good friend and fellow vaper Jose has gifted me an interesting selection of Liquideo’s liquids, so let’s see what else this French company has to offer? Limited – Apricot Pie: More jam than pie, but good all the same. Limited – Pink Mamba: Cheeky Raspberries soused in Pernod, brilliantly bizarre. Limited – Blue Alien: Blueberries, Curacao and menthol = smells like Banana? A most unusual flavour… try before you buy and beware of the room note. Lili-Chi – almost perfumed sweet Lychee, only missing that lip puckering dryness you normally encounter with this fruit. Perfect Day by Vaponaute’s baby sister. Pinako – If you like Pina Colada’s… avoid this juice. 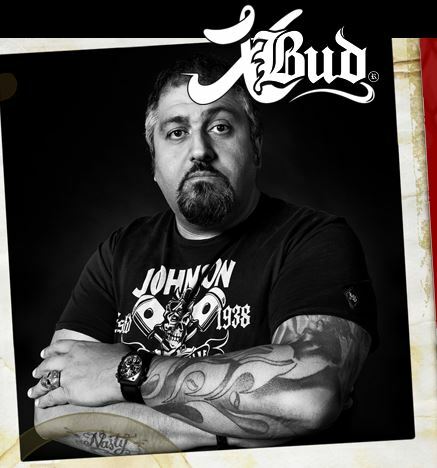 Jamal – Turkish, Burley and Virginia in that order, think light blue Drum rolling tobacco. All liquids enjoyed in a 1.6 ohm rayon wicked magma firing at 20.7 watts. 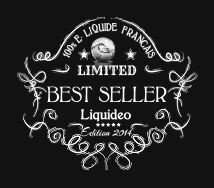 Check out http://liquideo-store.fr/60-collection-best-seller for more information.